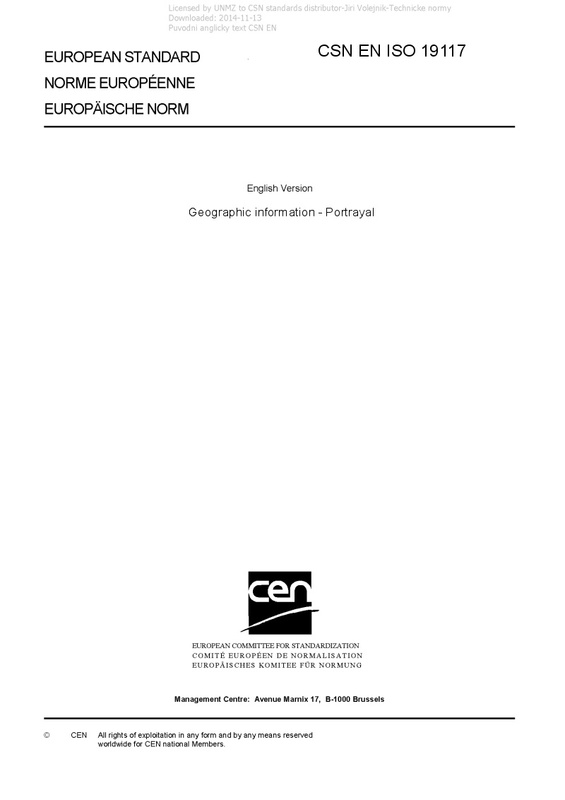 EN ISO 19117 Geographic information - Portrayal - ISO 19117:2012 specifies a conceptual schema for describing symbols, portrayal functions that map geospatial features to symbols, and the collection of symbols and portrayal functions into portrayal catalogues. This conceptual schema can be used in the design of portrayal systems. It allows feature data to be separate from portrayal data, permitting data to be portrayed in a dataset independent manner.